Training a Magikarp has always been a tricky proposition in Pokémon games: with no moves, the giant fish is practically useless in battle. That tradition doesn’t just continue in Pokémon Go, it is taken to the next level. 400 candies. Most monsters in Pokémon Go don’t have such ridiculous requirements—the highest candy count I’ve seen is 100, and that’s for the third evolution in a line. It’s possible that Magikarp is the hardest monster to evolve in the entirety of Pokémon Go at the moment, which is amazing. I don’t know how long it’ll take me to evolve my Magikarp; they don’t spawn very often near where I live or work. 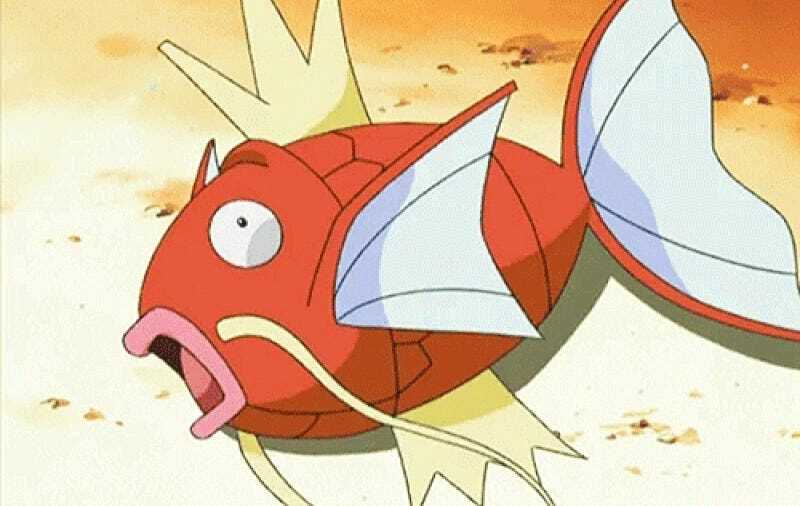 But even if you’re in the middle of a Magikarp nest, actually collecting 400 Magikarp candies is still a slow grind. Contrast this to the games, where it’s pretty easy to just use an XP share item or whatever. You don’t even have to think about training Magikarp, the items do it for you. More so than the main games, evolving a Magikarp in Pokémon Go is a real accomplishment. I commend any of you who are attempting this hilarious challenge. The Gyarados will be oh-so-worth it.